It’s been more than 50 years preparing and knowing the land, more than 50 years knowing each one of our grapevines the same as a shepherd knows each one of his sheep, and that allows us to select the best fruit from the vine to create the greatest wine. This is the way our Valnuevo Selección career starts, popularly known as Tardencuba Valnuevo. 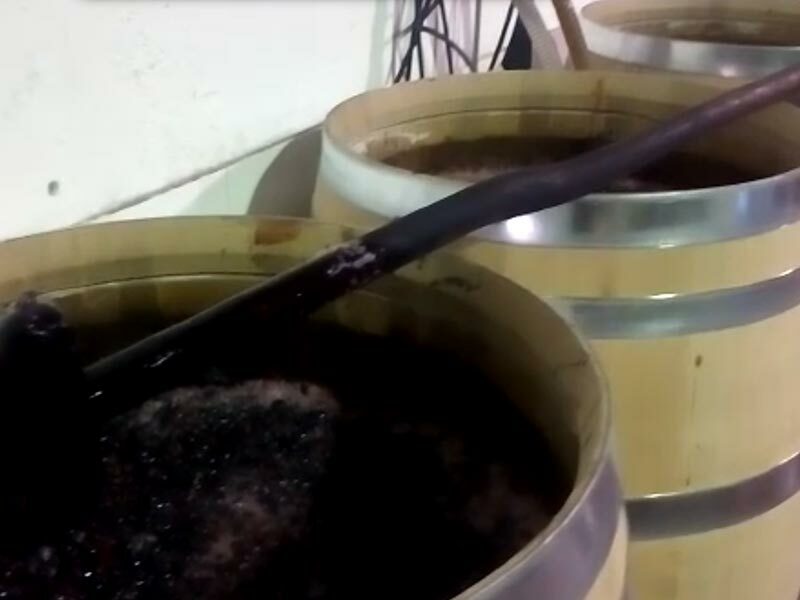 After selecting the best berries from each bunch they are put into 300 liter barrels opened on its upper side, where the magical grape-juice conversion into wine actually happens. This step is carefully handmade. 30 days later and after the constant pumpings (here known as ‘swaying the barrel’) the wine is decanted and we put it inside them where the malolactic fermentation will happen and will stay for aging during the established term, almost two years, before being bottled. Once done bottles will repose for one or two years before being introduced to the market. It looks easy. The decanting is made by gravity. The wine is not filtered if it is cleared, it is manually bottled. We have manufactured 1,500 bottles this year. It is a tough job but nice at the same time, and it reminds u show the wine was created by our ancestors and gives it a meaning in many aspects. It is true that knowing this wine as I know it, mainly because my hands are the ones that actually create it, I am eager to see the final result. However 3 or 4 years are needed. So I think it up and say to myself ‘let’s taste first the previous vintages’. You are invited to enjoy yourselves with me.